Hunt for an adventurous Holliday! 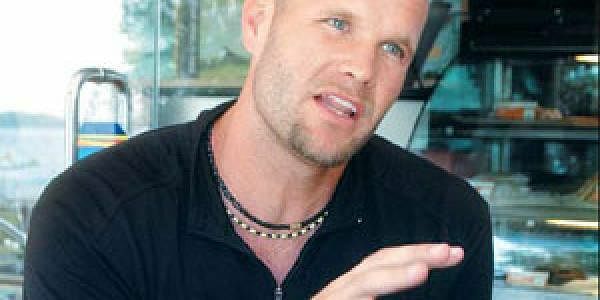 Hollywood stunt director Holliday is all set to direct a crossover film which will be shot in India. KOCHI: He grew up admiring Indiana Jones. Harrison Ford fascinated him. Little wonder then that Hollywood stunt director Hunt O' Holliday landed in a profession that is nothing short of adventure.&nbsp; “I’m bowled over by Kerala’s elegance. Kochi has a fine blend of the Indian flavour and the European feel,” says Holliday who was in the city recently to take part in discussions of the music video that he’ll produce and star in. Holliday also plans to market the song _ ‘Always be there ’ penned and composed by Sunny Viswanath and rendered by Sunidhi Chauhan, Sneha Pant and Delsy Ninan _ worldwide. Holliday’s journey into Hollywood as a stunt director was no cakewalk. After learning the basics from stunt training faculty in Seattle, Holliday was part of many stunt shows in his hometown Colorado. Recognition came his way when he was asked by the director of Colorado state university to do the fight choreography for a handful of plays. “I moved to California when I was 19 to pursue stunts as a career. Hollywood happened to me by chance. Like every aspiring newcomer, I circulated my portfolio and it was sheer luck that mine got noticed!” Holliday started with stunt co-ordination, became a stuntman and then graduated into stunt direction. He has done the fight choreography for a handful of films including ‘The Negotiator,’ ‘Nebraska’ and ‘Martial Law’ and has worked with actors such as Bruce Willis, Kevin Spacey, Denzel Washington and Jeff Bridges. “I love my job. Stunt is the one real thing in films.” He adds with a chuckle: “As a stunt choreographer, one also gets the pleasure of having actors coming to you for advice to make their fight sequence better.” Hunt is in love with the adventures that his career offers him in plenty. “There was this fight scene in ‘Martial Law’ where a warehouse had to be blown up. Fourteen cameras were all set to capture the action. When the warehouse exploded, a piece of the wall on fire landed just behind me and I had a hairline escape. It was fun!” Fun? “Oh yes, that’s the kind of excitement we have in the profession,” says the 32-year-old. Holliday is a voracious globetrotter and has been to 86 countries. “I love travelling and all the thrills and chills that come with it.” A layman’s heart would skip a beat listening to Holliday narrate yet another ‘I barely escaped’ story when he and his friend Maliah Bourke almost drowned in Bolivia. Quiz him on his favourite destination and he says: “It’s difficult to pick one. I love Italy for its culture, India for its vibrancy, Bolivia for the adventure I had there and New Zealand for its beauty.” Holliday has a passion for running. And he makes it a point that wherever he goes, he takes a long run. “The other day, I took a long run across the paddy fields in Thrissur. It was amazing!” Besides running, the stunt director loves rock climbing, river kayaking, swimming and Frisbee.&nbsp; Holliday’s love for running has his thoughts on a new tangent. He is set to produce and direct ‘The Runner,’ a crossover film which will be shot in India. The theme of the film is a runner’s point of view of various adventures.&nbsp; There’s more on his plate. Coming up next in Hollywood is a film with Jessica Bendinger, director of the superhit teen comedy ‘Stick It.’ So where’s the backpacker off to from Kochi? “Thailand. I’m going there for a retreat. Three weeks in a dark room... wow!” Yet another adventure for Holliday.